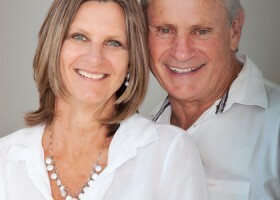 Husband and wife team Wally and Debbie Fry began experimenting in their family kitchen in Durban, South Africa, to find protein alternatives to meat products for their own household. After 18 months researching a unique way of combining wheat and soya proteins, now Fry’s Family CEO Wally Fry came up with recipes and a method to create vegetarian food which had a striking resemblance to meat in texture, taste and nutritional value. Together they head up the Fry’s Family Foundation to promote international food sustainability. These recipes are just a few ideas on putting together a fantastic meal and building meat free eating into your normal weekly food plan. This twist on traditional panini and bruschetta will surely fill you up with its simple and fresh ingredients. Enjoy as a dish on its own or with a simple salad. This great classic Indian dish originated in Punjab, is easy to make and enjoyed by all. For an extra crunch, add some chopped cashew nuts to the dish. Pasta is perfect mid-week fare. Toss in meat-free strips with a generous serving of vegies and pasta for an easy, satisfying family dinner. Originating in South Asia and derived from the Persian word 'azid', meaning to braise, Korma has become a staple of Indian cuisine now enjoyed around the world. Masterchef South Africa’s first winner, Deena Naidoo, takes on a traditional vegan Thai dish. A curry full of flavour and spices. Don't be put off by the number of spices the recipe calls for, as they will last well in the cupboard and can be used in a multitude of combinations for other recipes. Burgers. Quick, nourishing and a chance to get a stack of vegies into something the kids will love, this is a meat-free burger recipe for the time-poor and flavour hungry. This dish is a wonderful demonstration of South Africa's multicultural landscape, combining classic French ingredients like thyme and butter with African spices. The combination of soft oven-roasted eggplant and garlic provides a wonderfully warm, nourishing texture to this dish. With the addition of onion and spices, this is sure to convert those who have previously dismissed the humble vegetable as rather plain. This easy meal takes its inspiration from traditional Indian curries, using a wide variety of spices. Indian cuisine has influenced areas of South Africa such as Durban, where the author of this recipe resides. A delicious, fragrantly spiced vegetarian version of a traditional curry dish. Humble and hearty, this meat-free pie is a perfect meal to be enjoyed at any family dinner - especially Mondays. Biryani is wonderful winter comfort food. Serve with a salad and crispy papadum for a well rounded mid-week dinner. This is lovely vegan take on the lamb curry is rich in flavours and punch. Enjoy it with rice or as a bunny chow filling. The stir fry really is the perfect mid-week meal. This gorgeous looking dish is packed with protein and green veggies to keep your energy levels high. With very little preparation required, this is a great dish to make when you want something quick and delicious. Don't be turned off by the stirring involved in this mushroom risotto - like any recipe needing a little patience, it's more than worth the wait. Bursting with a sweet/sharp tang, pomegranate is a beautiful addition to any number of salads. Adaptable for pastas, canapes, hamburgers or just to eat on their own, No Meat Balls make a very nice alternative to their more famous cousin, the meat ball. A warm fresh rocket salad needn't be thought of as a side salad. By tossing in a meat alternative such as Fry's Family chunky strips, you quickly have a full meal. Pizza is perhaps one of the easiest cooking solutions on Meat Free Monday for meat devotees. To those already in the habit of eating meat free, it's simply just a delicious meal. Fantastic winter food, a good curry is both nourishing and hearty. Bobotie is a South African dish usually made with spiced meat - this version is as meat free friendly as they come.